The Chase BMX Factory Pro team will return with the riders that took their Chase BMX bikes atop many podiums in 2013, as well as 2 new additions! Connor has been the most consistent BMX Elite Rider from the USA over the past few season. 2013 was a great season for him winning the UCI BMX World Championship Time Trail title, the overall UCI BMX Supercross Championship, and finishing up #2 overall in the USA BMX title chase. 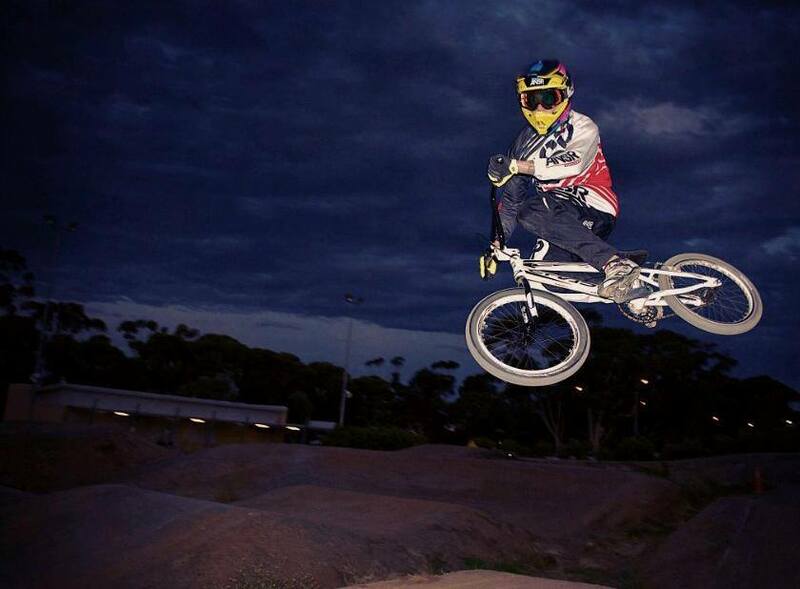 he backed up his 2012 UCI BMX World Championship Jr Elite title in 2013 with a back to back title in the Time Trial Division. Romain now steps up to the Elite Class and already has made his first main event at the French indoor race in St Etienne in December. he is not stranger to BMX or huge accomplishments, winning an Olympic Gold with the British team in 2008 as well as past titles in BMX racing include World and NBL Championships. Jamie is now the Director of Sprint for BMX and Track with USA Cycling. Jamie spends a majority of his time at the Olympic Training Center with the riders and he has got the bug to do a little bit of racing himself this season. 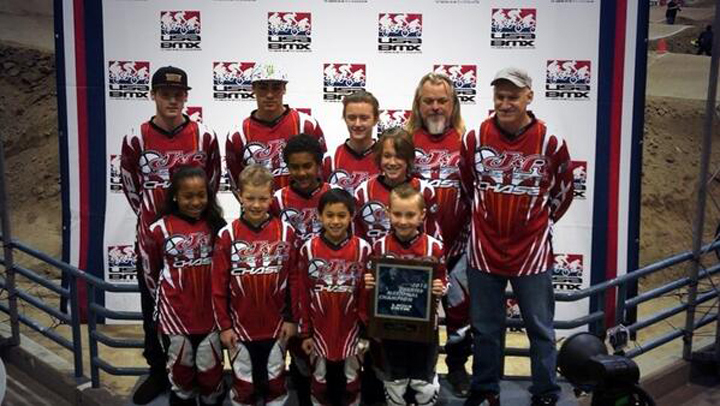 Look for Jamie to hit a few select USA BMX Vet Pro races in 2014 for Chase! Follow the Chase BMX Team PR at @BMXRacingGroup on twitter and Instagram, as well as on BRG Facebook. The Chase BMX Program is supported by Tioga BMX, Shimano, Fly Racing, Kicker, ODI, Thomson, Elevn Racing, Insight, KingStar, Excess, and Stealth hubs. Look for an additional announcement concerning the Chase Bicycles Factory team in the very near future! In team news, we are excited to begin a new partnership with a true legend in the sport, Dale Holmes and with the all new Dale Holmes Racing program, under the Chase BMX/Stay Strong Race Team. The Chase BMX / Stay Strong team will focus not only on racing, but also will be hosting BMX training clinics, training Camps, and going to schools in the San Diego area promoting the ‘Ride to end Obesity Program”. The #1 2013 USA BMX Bike Shop Team Champions will now be winning national events aboard the Chase RSP 2.0 frames as well as selected items from Elevn Racing. With a great amateur program, we are excited to branch out into the realm of team sponsorship with the J&R race team. Headed by Thomas Allier @AllierThomas, we continue to work with the program that has already generated the future of International BMX Racing stars, with riders like Carlos RAMIREZ @RamirezBMX and Stefany HERNANDEZ @Hernadez469, we are excited to once again support the next generation of top BMX racers! We have also teamed up with some of the best international elite riders and will be helping support their efforts in 2014! The Current French National Champion, Vincent had a great 2013 season, winning a bunch of races as well as being a consistent main event maker all over the globe in the Elite Mens class. 2 Time Olympian from South Africa, who now calls Southern California his home, as well as Chase BMX his bike of Choice! This young Brazilian BMX star has made a name for himself by not only racing in the 2012 Olympics, but by becoming a major force on the UCI BMX SX world Cup tour. Back to Back Australian Elite Women’s National Champion had a setback with a shoulder injury last season, but look for Melinda to be back stronger and more focused than ever in 2014! The BMX’er from New Zealand may have cut off his trademark beard, but don’t worry fans, he will still be cutting off riders down the first straightaway this season on his Chase BMX bike world Wide! A Past world Champion, Teagan knows what it takes to win BMX races, and her frame of choice to do so is a Chase RSP! The 2 time olympic Gold Medalist chooses the Elevn Brand to make sure his bike is always ready to take him to a win. 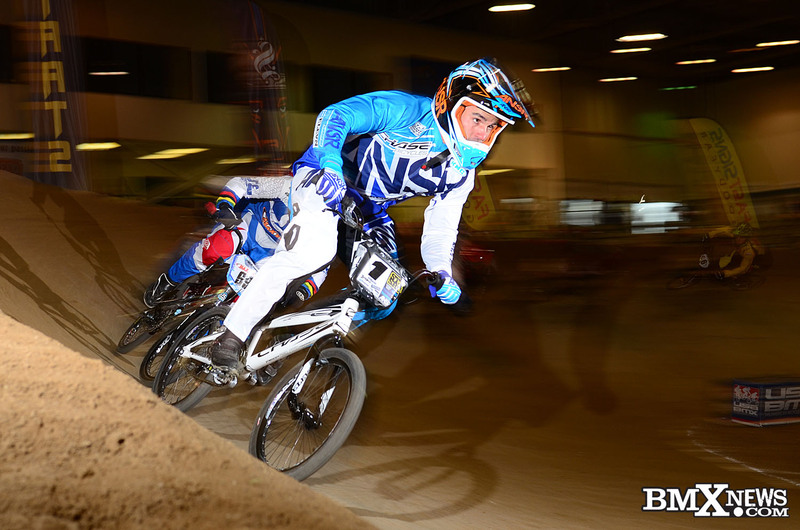 The 2013 USA BMX #1 Elite Women’s Pro and 2012 Olympic Champion only has once choice of brand for Handle bars – Elevn Racing! The 2013 USA BMX #1 Amateur Cruiser rider know what it takes the best parts in BMX to have the the winning edge, and his new race bikes are outfitted with items from Elevn racing! a staple on the USA BMX Vet Tour, Cody is one of the longest riders to have raced in the USA and we are proud to support him with Chase RSP 2.0 fully decked out with items from Elevn, Insight, KingStar, and Excess. he is no stranger to BMX racing, but he hasn’t been on the scene too much lately. Last year, he was honored with his addition to the USA BMX hall of fame, and this gave him the BMX race bug. He hit a few races and it stuck with him. He is now looking to hit a bunch of USA BMX races in 2014 and it will be on a Chase BMX bike loaded up with parts from Elevn!